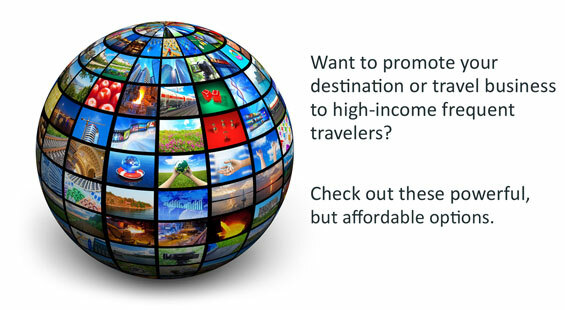 The benefit to advertising on Global Trekkers is that we offer advertisers the opportunity to become affiliated with a specific section of the site. If you are a bed and breakfast in London, your advertisement will be located on the London destination page. Your advertisement serves as an anchor to reinforce your brand message each time a consumer visits this section of the site. Location is hard to overlook as users click onto a specific section of the site to read a story about a particular travel destination. Target Readership:What kind of readers does Global Trekkers attract?Our readers are typically Internet savvy, well educated, active travelers who are usually researching their next destination. What is the global reach of Global Trekkers?Visitors are from around the world, with over 80% coming from the United States, Canada, and the United Kingdom. Global Trekkers averages between 800-900 unique visitors per day viewing between 1,500-1,800 page views per day. Our viewers continue to grow monthly.